Haroon Sseguya, IITA technology scaling specialist and Africa RISING-NAFAKA partnership project coordinator (photo credit: IITA). 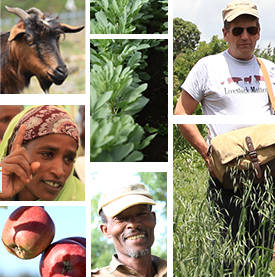 The Africa RISING-NAFAKA partnership project which is funded by the United States Agency for International Development (USAID) Tanzania Mission has benefited over 50,000 rural smallholder households in Tanzania with integrated packages of improved agricultural technologies. Under the project, 58,000 hectares of farm land has been put under the improved technologies or management practices. In both cases the project has exceeded the targets that were set when it was unveiled in 2014. These and other project achievements and strides were highlighted in a presentation on ‘Scaling sustainable agricultural intensification technologies in Tanzania: achievements, lessons and plans for future IITA interventions’ by the International Institute of Tropical Agriculture (IITA) technology scaling specialist, Haroon Sseguya, who is also the Africa RISING-NAFAKA coordinator, at a seminar presentation in Dar es Salaam, Tanzania. The efficacy of the technologies being promoted by the project to increase agricultural productivity while meeting high standards for sustainability in environmental, economic, and social terms, had been proven through research in the first phase of the Africa RISING project. These technologies include: new improved high-yielding, drought-tolerant varieties of food crops (maize, legumes, rice, and vegetables) and best-bet agronomic management packages using external inputs such as fertilizers, and improved postharvest management technologies. The project has also improved the protection of land and water resources through soil and water management, tackling soil acidity/salinity, and introducing and promoting food safety technologies such as Aflasafe as well as improved postharvest management technologies and motorized shelling machines, collapsible dryer cases (CDC) for drying, and the use of hermetic bags for grain storage. 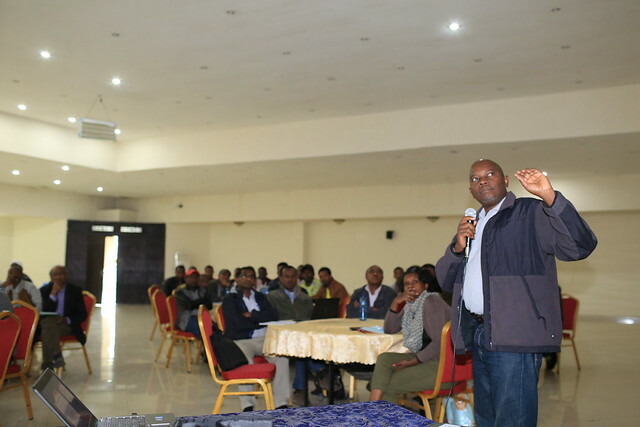 Sseguya said investing in building the capacities of farmers to adopt these technologies was a critical lesson learned during the implementation of this work. The initiative trained and worked with lead farmers who in turn trained other farmers, which has enhanced the capacities of local communities to improve their farming methods. ‘Partnerships were also central to scaling sustainable intensification innovations.’ he said. ‘The partnerships needed to be flexible, depending on the task at hand and they were defined by shared accountability, constant dialogue, joint learning, joint mobilization of resources, and involved a range of partners’. He added that the technologies also needed to be suitable to the agro-ecological and socio-economic conditions and documented through manuals and protocols that farmers could use. Written by Catherine Njuguna, corporate communication officer, IITA. Tags: AfricaRISING, nafaka, Scaling, Tanzania. Bookmark the permalink.